Listing your home for sale is a partnership with your Real Estate Broker. The mutual goal of presenting your property as the best it can be is critical for success. Listing Brokers should provide very valuable services including market analysis for pricing and staging advice for maximum appeal in photos and for in-person visits. Your opinion also counts and can be very helpful. Your input of what you think most buyers would like is worth consideration. Brokers are not perfect and sometimes need some suggestions to expand their own thinking. A good idea is for sellers to look online at their competition and see examples of what really appeals to them. Please also consider how important it is to make your home comfortable for showings. For example, often second home owners do not want to run their AC when the home is not in use. No buyer enjoys looking at a home in unbearable heat. A setting of 82-84 degrees will provide relief in hot seasons and also really helps preserve the life of appliances. Keeping your home tidy is another example where your side of the partnership takes effort, but is well worth your time. Deferred maintenance and repairs also require sellers to step up their effort in selling a home. Sellers naturally become comfortable with a lack of action in their own homes. Buyers will certainly view items in poor condition quite negatively. Simple cleaning and changing of AC filters and touch up paint are good examples where a little effort goes a long way towards a quicker sell for a better price. If something is broken and sellers have let it slide, fixing it before listing is the only good choice. Sometimes you have to spend money to make money. I’ll end as I started. Find a good partner in a Broker to sell your home. Just please remember you are an important partner as well. The local real estate market around Lake LBJ is very robust. Central Texas as a whole represents one of the most active markets in the country. As buyers desire to move to our area, they may have an existing property to sale first. This results in offers contingent on the sale of other property by the buyer. This type of transaction can be beneficial for both parties and is worthy of consideration. If a seller accepts a contingency offer, their home stays on the market for other potential buyers to consider. If another buyer makes an acceptable offer, the seller notifies the first buyer. The first buyer must waive their contingency and agree to purchase the home whether they sell their existing property or not. If they do not waive their contingency, the first offer is terminated and the seller goes under contract with the second buyer. One drawback of accepting a contingency offer is that buyer’s agents may be less likely to show your home. Some agents and buyers may feel their chances of securing a deal are less likely as the first buyer has first right of refusal. However, most buyers with contingency contracts are only able to buy the new home with proceeds from the sale of their existing home. In other words, the first buyer often has to terminate their contract which allows the second buyer to achieve a contract to purchase. Sellers often benefit by receiving a higher price with contingency offers. The buyer may pay more for the home as an incentive to the seller to accept a conditional offer. As with all real estate transactions, each individual must assess their situation and decide what is best for them. Your real estate professional may provide valuable advice in most situations to assist with your decision. Have you seen TV commercials promising to sell your home or the Broker will buy it? Or, to sell within a certain time frame or they will sell it for free? A recent article by Inman Real Estate News reveals these offers are largely a scam. They are used as a hook to get your business, but the terms are completely unreasonable. One example was a broker from another state. She received 36 new listings, but not one agreed to the terms required for a “free” sale. All of the listing clients chose a more traditional arrangement. To receive the “guarantee”, the seller had to make improvements and repairs required by the agent. They had to agree to list their home at 95% of the fair market value. Further, they had to agree to drop the price 5% every 30 days until sold. Another example was an agent that promised to buy your home if it did not sell. The terms of the agreement were similar, requiring you to accept less than a fair price. The agent would not comment on whether he had actually ever purchased a home he did not sell. We have all heard the phrase “buyer beware”. In this case, “seller beware”. If something seems to good to be true, it almost always is. Please submit questions by email at jeffbspears@gmail.com, or feel free to give me a call on my direct line at 325-248-4369. Jeff Spears is a Licensed Broker in the State of Texas. Each Office of Keller Williams Realty is Independently Owned and Operated. The Highland Lakes MLS Board covers all of Burnet and Llano Counties and much of the surrounding counties. 2014 was the best year for overall sales since the market downturn of 2008. 2015 continues to show our market is healthy and growing. Here are some stats for the overall market as well as Horseshoe Bay. For many categories of real estate including improved residential, waterfront and resort homes, this is the best time to sell since 2007. Prices are on the rise. Another significant indicator of market health is the median number of days sold homes were on the market. Using median rather than average prevents abnormal properties from distorting the picture. Horseshoe Bay Real Estate carries the highest market values in our area. It is common for higher value properties to take a little longer to sale. Buyers are seeking to invest in our beautiful community year round. The numbers for waterfront home sales on Lake LBJ are also spread evenly throughout the year. The only slow period is between Thanksgiving and Christmas. Available August 21st. Charming Lake House on Constant Level Lake LBJ. Excellent condition and ideal location in Sunrise Beach. 79 feet of waterfront on a very wide and deep canal just seconds to open water. Amazing outdoor living spaces including a tavern over the dock. Open kitchen/dining/living space with granite counters, huge island, 10 foot ceilings and tons of natural light through the walls of windows. Excellent condition with no work to do. Beautifully landscaped with gorgeous trees. Electric boat dock lift, patio at water's edge and huge storage room. Why Do Real Estate Commissions Seem High? Ask a Local REALTOR - What’s Your Question? This week’s question comes from a Beacon reader that asks, “Why are real estate commission fees so high?”. This is a common misperception. Frankly, before I started my real estate career many years ago, I had the same feeling. Many people believe one or two agents walk away with the entire percentage of commission at closing. In fact, all agents are sponsored by a Broker, whom is responsible for the agents actions. In most transactions, there are two agents, one representing the seller and one representing the buyer. Each of these agents must split their portion of the commission with their Broker. So, in most transactions, the total commission is split four ways. Running a real estate brokerage is very expensive. Offices and marketing expenses make up the bulk of the costs. Good companies will stretch their marketing costs to the maximum to give the best and most exposure to their client’s listing. Additional costs include licensing fees, liability insurance, support staff, equipment, and more. Agents bare high costs in addition to their Broker. Many agents pay their own office rent and the bulk of marketing costs. Agents are independent contractors versus employees and receive no benefits by law. No paid vacation, sick leave, retirement benefits or health insurance are permitted. The success rate of agents is actually similar to that of restaurant owners. There is a high rate of failure. However tough it may be, there are many successful agents and brokers that truly love their jobs. The business models of Broker versus agent costs vary widely. Some believe beautiful offices drive business. Others prefer modest offices and spend more on marketing. You deserve to work with successful agents for your own benefit. Jeff Spears is a Licensed Broker in the State of Texas. Each Office of Keller Williams Realty is Independently Owned and Operated. If you have a contractual relationship with another Broker, this is not a solicitation for your business. 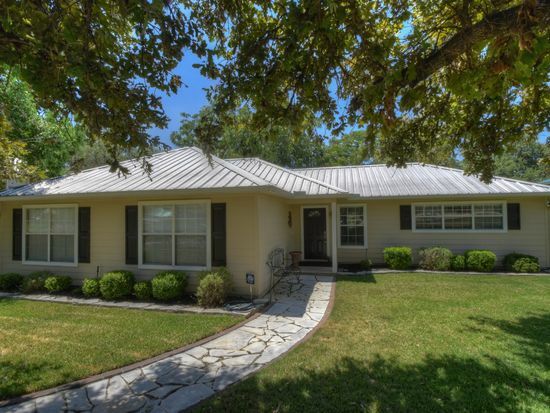 Statistics are based on information provided by the Highland Lakes Board of Realtors MLS. What Can I Do to Sell My Home Faster? There are three critical factors that a seller controls: pricing, condition and marketing. Pricing - Correct pricing is the most important element of selling a home. Your agent should assist you in making this decision by providing a comparative market analysis based on recently sold homes that are similar to yours. You should also consider which active homes for sale will be your competition. Visiting your competition in person can be a very valuable use of time. Condition - Buyers strongly prefer homes that require little or no work. You should clean thoroughly, get rid of clutter and stage your home to show at its best. Your agent should help make suggestions. Professional stagers are available when needed. Beyond staging, but perhaps more important, are repairs. Making repairs and improvements before you list your home can be critical. A well presented home will almost always sell more quickly and for more money. Small things like fresh paint can pay off big at closing. When a home is in need of obvious repairs, buyers will turn away or make low offers. Marketing - Quality presentation and massive exposure are the most important marketing tools. The seller controls this aspect by choosing their agent wisely. I recommend sellers consider and visit with at least 3 agents before making a decision. You should ask for examples and insist on the maximum number of high quality, professional photos for your home. Video and Virtual Tours are essential elements in today’s market. 97% of buyers search homes online and decided which homes to visit in person based on the online presentation. Welcome to my new column regarding local real estate happenings in the Horseshoe Bay Area. This column is intended as a community service to provide you with real estate information based on questions submitted by you, our much appreciated HSB Beacon readers. If we have not met, I am Jeff Spears, Broker Associate and Owner of The Lake LBJ Group Keller Williams Realty Horseshoe Bay. My partner, Michele Walker, and our team have enjoyed providing real estate services in the area for many years. In addition to our beautiful Resort, Local Lakes, and the Retail and Service Sectors, Real Estate is a vital part of our local economy. Our market has been in recovery mode for several years since the downturn of 2008. I am happy to report we have returned to a Seller’s Market with high buyer demand and lower inventory than the past several years. Here is a quick re-cap of the past few years for Homes Sold in Horseshoe Bay. These stats represent all types of improved residential properties. Waterfront has led the market recovery with great homes below the $2 million dollar mark particularly difficult to find. Golf course homes made strong gains in 2014 and continue to rise in 2015. Other categories of homes are following suit. Pricing in any sector has risen and continues to do so. I would sincerely welcome the opportunity to answer real estate questions submitted by our local residents or anyone curious about real estate in our area. Please submit by email at jeffbspears@gmail.com, or feel free to give me a call on my direct line at 325-248-4369. Please also let me know if I may use your name if reference to your question. On behalf of all REALTORS in the area, thank you very much to the community for allowing us to serve your needs. It is a proven fact that Local Experts are your best Real Estate Resource. We greatly appreciate our clients and customers. 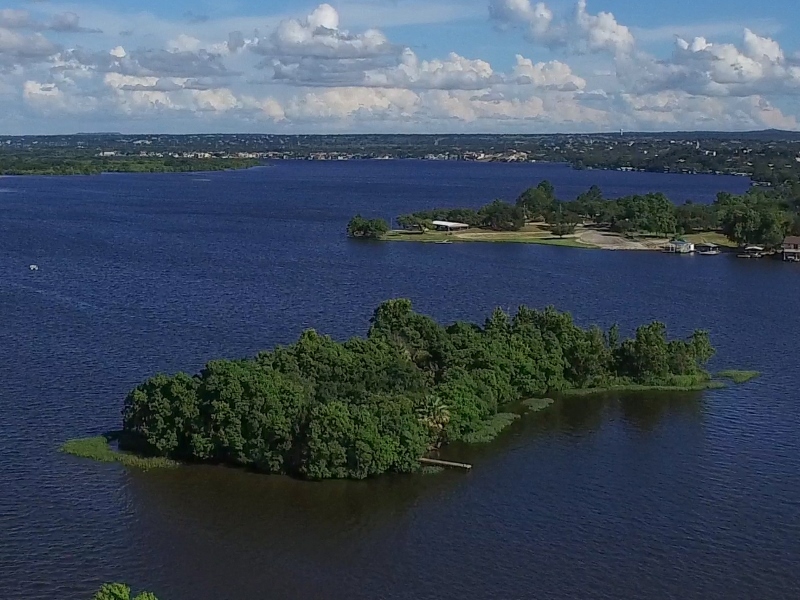 Private One Acre Island for Sale on Constant Level Lake LBJ. Zoned for residential use. Bodin Island rests a few hundred feet from the mainland in beautiful Sunrise Beach. This is the one and only Island available on Lake LBJ. Imagine living your waterfront dream at its very finest. 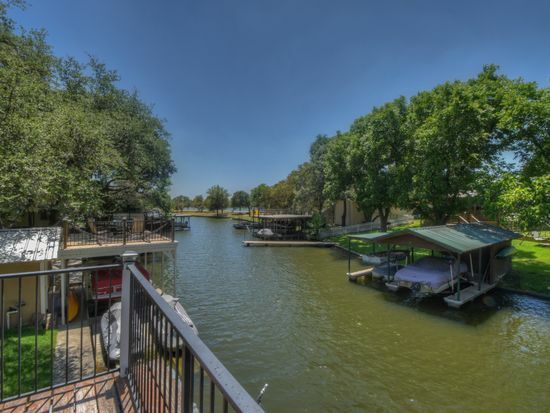 Amazing potential to own the trophy property on the best lake in Central Texas. A pipe from the mainland under the lake bed is in place for electrical lines. A small structure on the Island was built in the 1920's and a pier is in place. The Island is across the water from McNair Park with two boat ramps. Many of the logistics for development have been addressed. Truly a once in a lifetime opportunity.